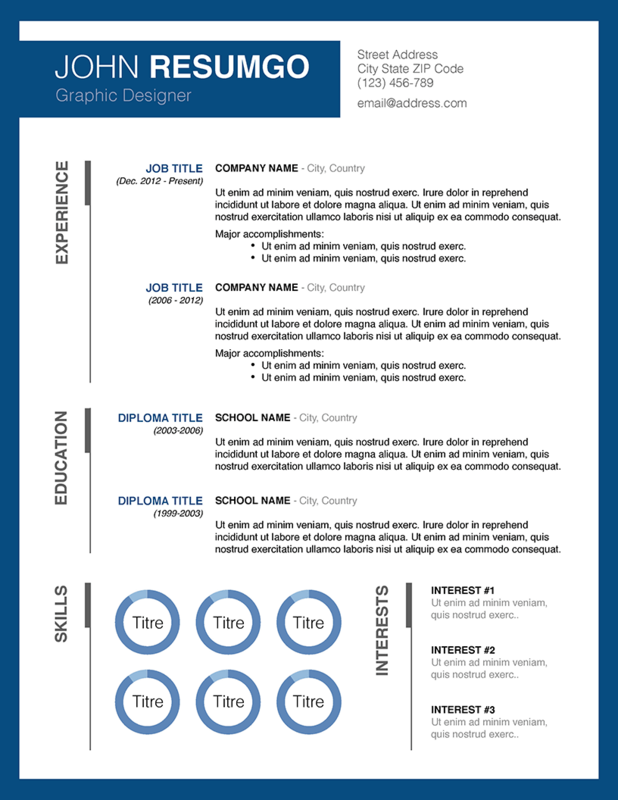 Calisto is a free stylish resume template, with a blue border. 1-column structure layout. Uses data-driven donut charts for your skills.